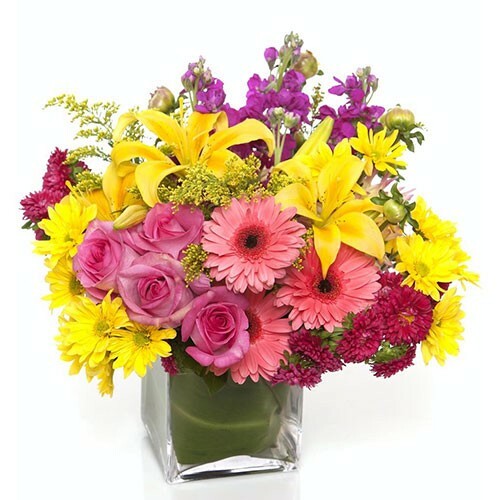 Impress a special someone with this collection of bright and beautiful flowers in a vase. This assortment contains one of the most popular flowers today and is perfect to send for any occasion thanks to the lovely burst of colors it offers, which will without a doubt put a smile on anyone's face. It features Gerberas, yellow chrysanthemum, roses, yellow lilies, and more!